Researchers and clinicians at Southampton's university hospitals have been awarded £15 million to help tackle obesity, poor nutrition, asthma, allergies and infections. The five-year funding arrangement, announced by the Department of Health and the National Institute for Health Research (NIHR), will see the city's pioneering nutrition and respiratory research brought together to form a new NIHR Biomedical Research Centre (BRC). A joint venture between University Hospital Southampton NHS Foundation Trust and the University of Southampton, the BRC will focus on taking discoveries out of the laboratory into the clinic. The current BRC has seen Southampton establish the impact of mothers’ diets on their babies’ life-long health, discover new treatments for asthma and improve management of rare diseases, allergies and musculoskeletal conditions like rheumatoid arthritis. The new BRC, under the directorship Professor Robert Read, a consultant and professor in infectious diseases, will include nutrition and respiratory/critical care, plus cross-cutting themes in data science, microbial and behavioural sciences. Nutrition research in the new centre will focus on reversing the epidemic of childhood obesity, tackling diseases like obesity, liver disease and cancer in adult life and investigating how better nutrition and activity can support healthy ageing. Respiratory experts will address life-threatening chronic diseases like asthma and chronic obstructive pulmonary disease (COPD), as well as lung cancer, infections such as pneumonia and flu, rare lung diseases and improving critical care. The centre will also utilise Southampton’s expertise in data science to combine clinical and research data in real-time to help improve care, as well as use microbial science and behavioural science to understand how bacteria influence our nutritional and respiratory health, tackle antimicrobial resistance and help people make informed choices about their health. “This award represents an opportunity to make a real difference to people's lives and health by combining Southampton’s unique strengths in nutrition and respiratory clinical research as well as data, microbial and behavioural science," said Professor Robert Read, a consultant and professor in infectious diseases and the new centre’s director. 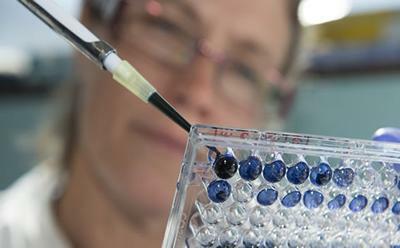 “Over the last decade we have built a world-class environment for taking discoveries from the lab into the clinic and this NIHR award recognises that, as well as what Southampton can do for patients, the public and the NHS. "It gives us the means to bring new treatments into care and improve not only our patients’ health, but also people across the region and nationwide." The announcement comes a week after UHS was named one of 12 digital centres of excellence by the Department for Health, which will see the trust receive £10 million over four years for IT development. It also builds on the trust's selection as a host for one of 13 national genomic medicine centres – the Wessex Genomic Medicine Centre – which is designed to help transform diagnosis and treatment for patients with cancer and rare diseases through the development of personalised medicine. Fiona Dalton, chief executive of UHS, said: “I’m delighted that we’ve secured this funding, which will enable us to push forward with research that is improving care for our patients right now, but also has the potential to prevent the development of many diseases and illnesses in the future. “As a city we can be proud of this award as it demonstrates the strength of our partnership with the University of Southampton and reinforces our national role and status as a leader in cutting-edge clinical research which makes a real difference to patients' lives."